If you’re looking for an online discount broker, it can be difficult to go through the maze of online brokerages out there on the internet. A quick search yields dozens of options to choose from, which can make your decision of what platform to use to invest in the stock market a difficult one (and we’ve compared all of them here). As one who used to work in the online brokerage industry, I’ve seen many online brokerage firms simply sell to you in order to earn your business, as opposed to telling you how they are different and how they will help you reach your investing goals. My experience and background has also shown me that many retail investors do not go into their brokerage decision fully armed, and as a result, can hinder their overall investing goals. While this may not seem like a big deal to some, it’s important that you find the right fit to help you implement your investing plans and hopefully save, as well as make, more money over time. Online brokers love to tout their pricing for stock trades. Price, to be sure, is a very important aspect to look at when you are deciding on which online brokerage to entrust with your business. You want to make sure that you are not overpaying commissions as that eats into your returns over the long run. However, price should not be the sole determining factor in your decision of who to invest your money with. Take a look at what they offer for that price and ask friends and family who they use for their online broker. This can help you narrow down your options and get some unbiased feedback. Beyond that you can do a Google search for online brokerage reviews in order to find some comparisons on the major players in the online broker space. Next, I recommend doing some research on what a brokerage’s customer service is like. Call a couple of times, and at various times of the day, to get a feel of what the service is like. Are you being sold to? Are they courteous to you and try to determine what you could do with them? Is the person you’re speaking with knowledgeable about investing in the stock market? Sadly, you will find the last one cannot be assumed. On the flip side of pricing, once you determine which online broker you choose to go with do not be afraid to negotiate your commission for stock trades. Most of the big online brokerages are charged only $2-3 dollars per trade and many of them will charge anywhere from $3-10 dollars, if not more, per stock trade. That can equate to a hefty mark-up which can erode returns if you are a somewhat active trader. If you’re a good client and do not raise much of a ruckus, there is no reason why many will not reduce your commission by several dollars per stock trade. Even if you think you are doing business with the best online broker, there will possibly be times where they’ll let you down. In fact, I can almost guarantee it. One of the worst things that can happen to you is to sell a stock that you bought seven or eight years ago and not have the cost basis. This can cause potential headaches and almost always happens on the eve of tax season ending. Online brokers, you see, are only required to keep statements for the most recent six years and trade confirmations for the most recent three years. I have spoken to countless people over the years who sold a stock only to find out the brokerage had no record of the purchase price. The problem that this causes is that the entire sale looks like a gain to the IRS unless you’re able to provide documentation showing the original purchase price and any subsequent purchases of the stock or mutual fund. With this in mind, I encourage investors to keep a record of all your statements and trade confirmations. If your online broker allows you to get electronic statements, then go that route and download them. If that is not an option you can always scan the statements to house them on your computer. If you love paper statements, invest in a system like the HomeFile Organization System, so that you can easily organize and store your financial life. Lastly, make sure to watch your statements for rogue fees so that you are not taken by surprise years down the road. Believe it or not, I have seen investors lose hundreds of thousands of dollars simply because they did not pay attention to their statements. Even if you think you’ve found the best online brokerage, they may not be the best fit for you. A quick look at the major players in the online broker space reveals that they all have their strengths and weaknesses. You can find anything from a simple skin and bones website that is just a portal to place stock trades, to online brokerages that offer free webinars and have a wealth of free online courses. The broker can have a plethora of bells and whistles, but if you’re a buy and hold investor who spends little time on their portfolio, then what need do you have for the tools? Also, if you are an active trader then you’re likely not going to benefit from someone who is wanting to focus largely on their offering of mutual funds. 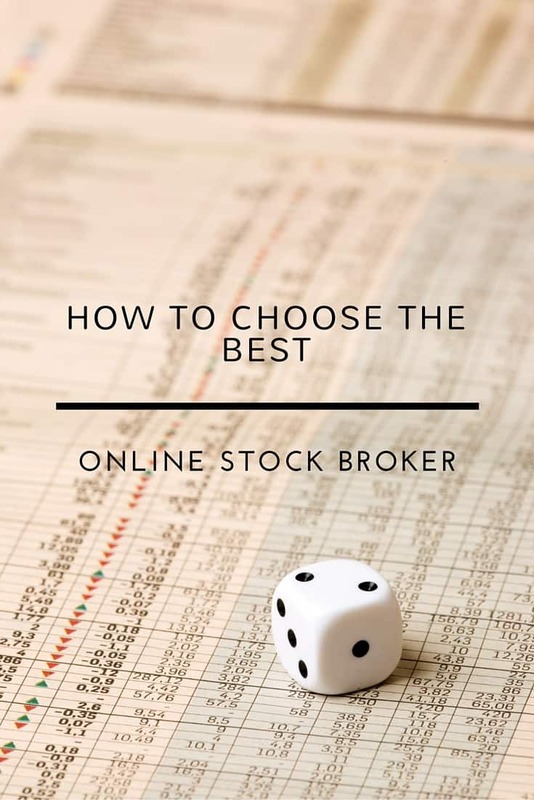 The key to making your online broker choice is to find a firm that will allow you to grow as an investor and one that has the offerings and tools you need. As the online brokerage industry has exploded over the past several decades, it has placed more of the onus of making investing decisions on investors themselves. Just make sure that you’ve set yourself up for success by choosing an online broker that is right for you. My current favorite for online investing brokerage companies is Fidelity. They offer amazing service, account options, all for a low price. However, don’t take my word for it. 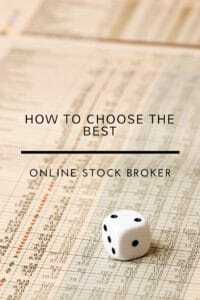 Check out our online stock broker comparison tool for more info. What online broker do you use? What suggestions do you have for those that are looking for the best online brokerage?